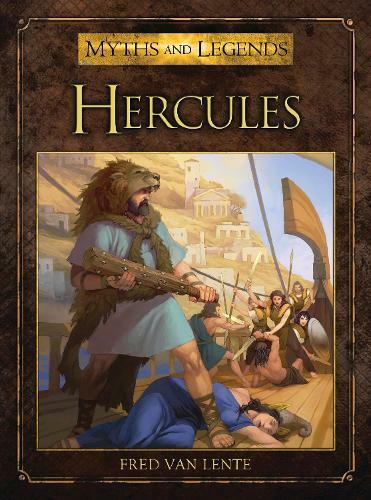 Hercules battled gods, men and monsters in a lifetime of violence and destruction. Today, Hercules is best known for his `twelve labours', a series of near-impossible tasks assigned to him as punishment for the killing of his wife and children. During those tasks, he slew the multi-headed hydra, wrestled with Cerberus, hound of the underworld, and stole the girdle of Hippolyta, queen of the Amazons. Yet even when his labours were done, his adventures continued. Hercules led armies, sacked cities, fought against the gods, and then joined forces with the gods in the great war known as `The Gigantomachy'. This book tells the complete story of this legendary warrior, including information on the classical sources, his deification and cult, and his continuing popularity as a character in film, television and comic books.